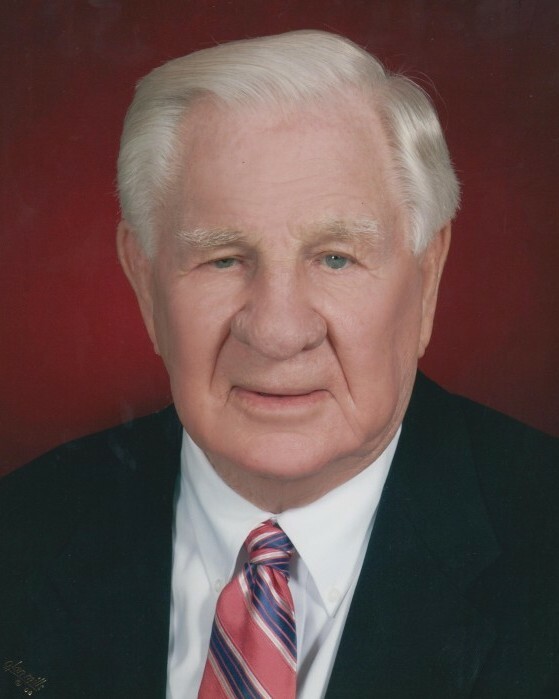 Charles O. Eubanks passed away on Wednesday, October 31, 2018 at his residence in Palm Valley. He was a beloved husband, father, grandfather, great-grandfather, uncle and friend. Charles was born on November 12, 1924 in Dover, Arkansas to Oscar and Betty Eubanks. In 1928, he moved with his parents and brother to Santa Rosa, Texas. He grew up there and graduated as valedictorian from the high school in 1932. After high school, he enlisted in the Army Specialized College Program. He was called to active duty in May 1943 and assigned to the 99th Infantry Division Regiment on March 1, 1944. He served in the Battle of the Bulge, the Rhineland and Central Europe campaigns earning the Bronze Star, Presidential Citation and the Combat Infantry Badge. He graduated from A & I Kingsville with a degree in Petroleum Engineering. After College, he returned to Santa Rosa to operate a Texaco distributorship until his retirement n 1987. He married his wife, Alvina, on August 20, 1946 and raised two sons, Charles Alan and Thomas. He was an active member of his community and church. He was also active with the 99th Infantry Division Association and traveled with Alvina all over the country attending conventions. Charles never met a stranger and always had a story to share. During the war, he carried a $2 bill in his pocket, and he believed it brought him luck. As a result, he always had a $2 bill ready to hand out to pass along his good luck. He was nicknamed Pop-Pop by his grandkids and they are left with fond memories of all the popcorn he popped and coke floats he dished out. He was preceded in death by his parents, brother, James H. Eubanks and loving son, Thomas. He is survived by his devoted wife of 72 years, Alvina, his son, Charles Alan (Nancy), his grandchildren, Amy (Martin) Peters, Rachel (Anupam) Macwan, and Michael Eubanks (Melissa); his great grandchildren, Sophie and Adam Peters, Kavi and Jia Macwan, Annabelle and Harper Eubanks; his nieces, Carol (Sissy) Garza (Abdon), Brenda Jernigan, Mary G. Garbutt, Annette Thompson, and Debra Buckley; and his nephews, Eddie Ostrowski, Jr., (Martha) and George A. Kuzniar. Memorial services will be held at the St. Paul Lutheran Church in Harlingen, 10:00 A.M., Monday, November 5, 2018 with Pastor Nathan Wendorf officiating and Military Honors being conducted by American Legion Post 2035. Those desiring to do so may make memorial donations to the St. Paul Lutheran Church or charity of choice. The family wished to extend a special thank you to caregivers, Lucia Lopez, Julia Gamez, Ofelia Garcia and Marilu Rojas for all their care and concern for Charles and his family.